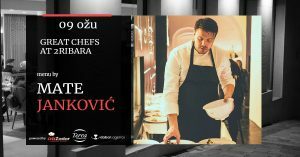 Great Chefs At 2Ribara – Menu by Mate Janković 09.03.2019. 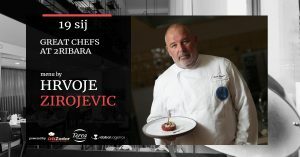 Great Chefs At 2Ribara – Menu by Janez Bratovž 22.02.2019. 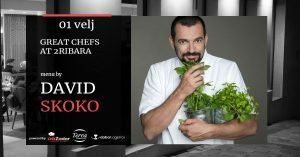 Great Chefs At 2Ribara – Menu by David Skoko 01.02.2019. 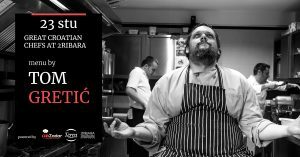 Great Croatian Chefs At 2Ribara – Menu by Hrvoje Zirojevic 19.01.2019. 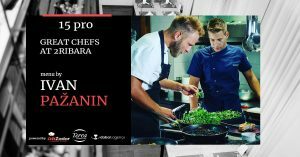 Great Croatian Chefs At 2Ribara – Menu by Ivan Pažanin 15.12.2018. 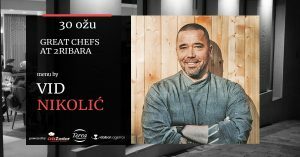 Great Croatian Chefs At 2Ribara – Menu by Tom Gretić 23.11.2018.